Meet Olga, the amazing child scientist who LOVES animals (because they are super-cute)! 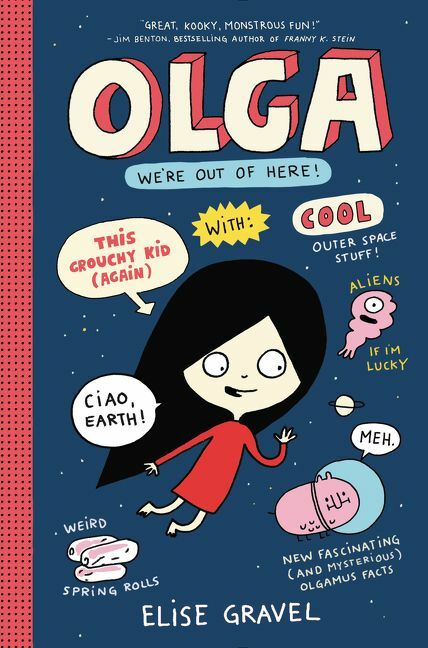 This book is jam-packed with fun: illustrations, word bubbles, quirky humor, olgamus facts, and plenty of excitement! Meet Olga, the amazing child scientist who LOVES animals (because they are super-cute)! Brightly put this heavily illustrated don't-miss book on their "Ultimate Summer Reading List for 9- to 12-Year-Olds." 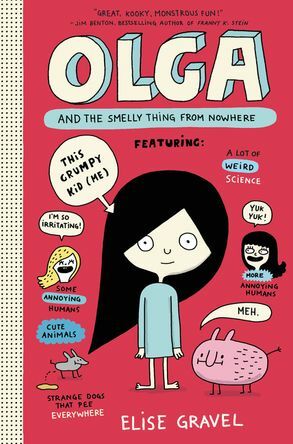 Meet Olga, the spunky girl scientist from Elise Gravel’s OLGA AND THE SMELLY THING FROM NOWHERE series!